Hennessy Fitted Furniture Ltd., can find solutions, to almost every requirement for your kitchen designs, wardrobe fittings and sliding wardrobes. We are a small family run business that loves to add a personal touch to every section of the job that we step into. Our designs have, for long, been inspirations to many developments occurring in many households. The common, mundane or ordinary are something we like to keep ourselves away from. At Hennessy Fitted Furniture Ltd., we showcase current trends, in all our designs with the help of the finest Irish Components wherever necessary. No job is too big or small for us. Designed exclusively for you, Hennessy Fitted Furniture Ltd will find you your dream designs in the least amount of time. We are a firm that actually strives to get you wowed! We design custom solutions for you that help you de-clutter your storage solutions, within the available space in the most efficient way. The solutions are meant to be demystifying the secrets to most efficient usages of the available space to the client. Our jobs showcase the recent trends with all the projects that we have decided to work in. Our customers find a personal touch to almost every project we touch in. 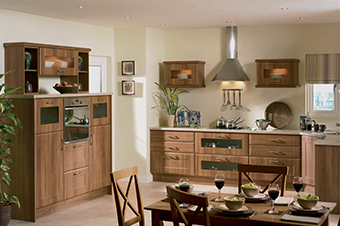 Hennessy Kitchen Designs are manufacturers of the most professional kitchen designs and fitted traditional kitchens. The kitchens we design come to fit almost every budget and taste that any customer can come across. We bring your dream kitchen to life. Wardrobes at Hennessy are custom made to improve the interiors to your homes. Enhancing your living environment, making complete usage of the available space and functionality, our wardrobes are custom-made to be fitted in almost any bedroom across town. We make the utmost of your space. Matching in to the current fashion trends has always been on the top of our list in regards to supplying, manufacturing and designing sliding wardrobes. 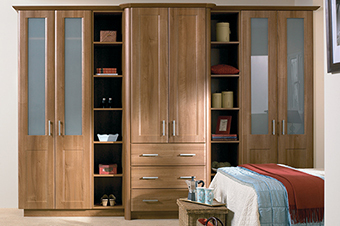 Attractive and durable, these wardrobes are sure to keep you delighted.